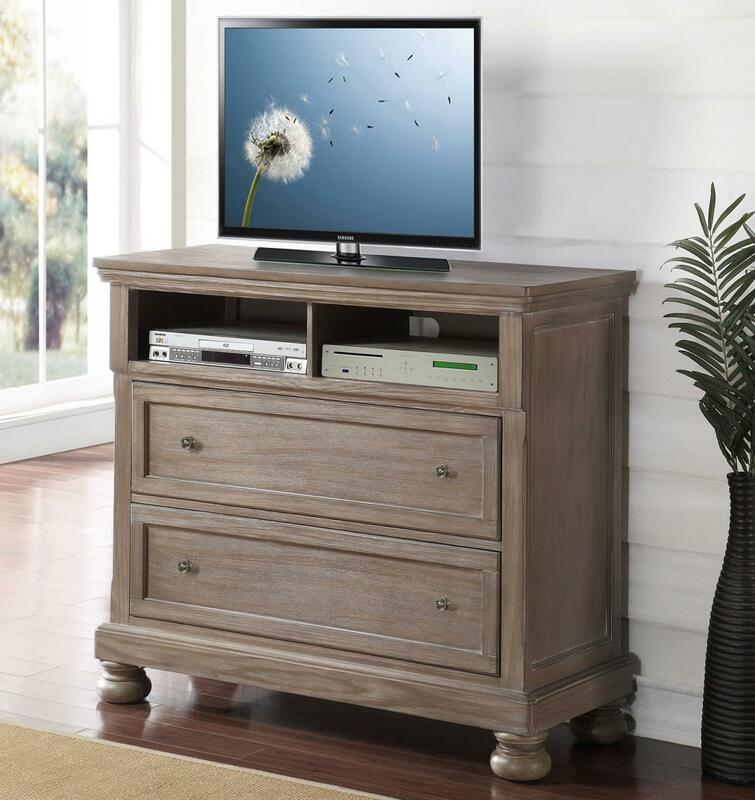 This media chest is made to fit your bedroom, with two large drawers for added storage and open media shelves for media players. Watch your favorite shows and movies with ease from the comforts of your bed. 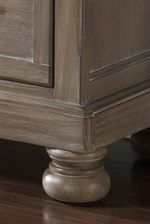 The Allegra 2 Drawer Media Chest Console by New Classic at Michael's Furniture Warehouse in the San Fernando & Los Angeles area. Product availability may vary. Contact us for the most current availability on this product.